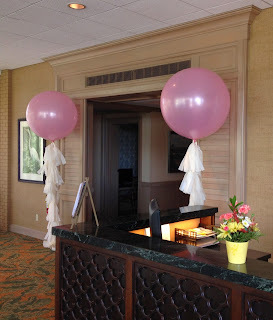 For Kyle & Cayley's wedding reception at Lone Palm Country Club Party People Celebration company was asked to create 2, 3ft Balloons with tissue tassels (know as Geronimo Balloons) for the Bride to use as an Entrance decor and in Photos. 3 ft balloons come in a variety of colors and Tassels can be made in any colors you wish. 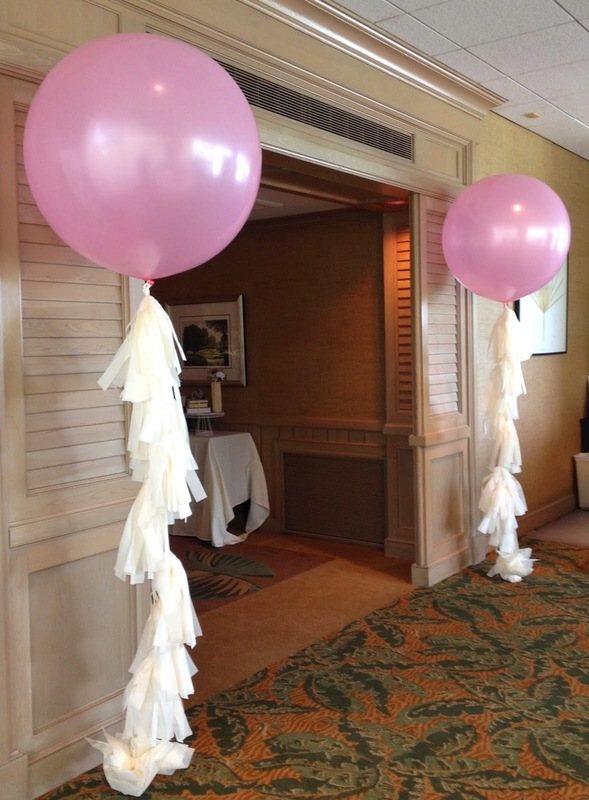 Party People Celebration company is located in Lakeland Florida, and creates onsite decor throughout Central Florida. Call 863-255-2025 or email partypeoplecc@msn.com to schedule us to add fun and color to your celebration. 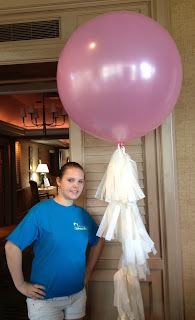 this photo is my Daughter next to the Geronimo Balloon for Scale.